This quality mare was placed 3rd novice working hunter Slimbridge Show 2003; placed each time out at dressage; consistently jumping clear rounds show jumping. Annie was also a first-class hunter and ridden by the Berkley Whipper-in. Her first foal out of Matt was stunning. 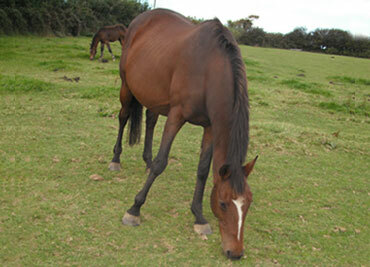 She is now in foal to Liberace (Oldenberg) Graded BWBS and trained to Prix-St. George and show jumping up to 1.30m.